Two snowmobilers from Evanston, Wyoming were riding in Humpy Creek drainage in the western Uinta Mountains. They accessed the area from the trailheads out of Evanston. They were both experienced, high-end riders and well-known in the commmunity. They did not plan to ride on steep terrain so they left their beacons and shovels in their vehicles at the trailhead. One rider apparently decided to at least partially ascend "Cherry Hill" a popular snowmobile play slope in the drainage north of Superbowl. The other rider, playing on low angle terrain adjacent to Dennis, did not see him ascend but saw the dust cloud of the avalanche and there was a lone snowmobile track halfway up the bowl. He assumed his friend was buried and did a quick search of the debris and did not find any surface clues. Since he had no beacon or shovel, he rode to a high point where he could call for a rescue and went back on the debris to continue searching. 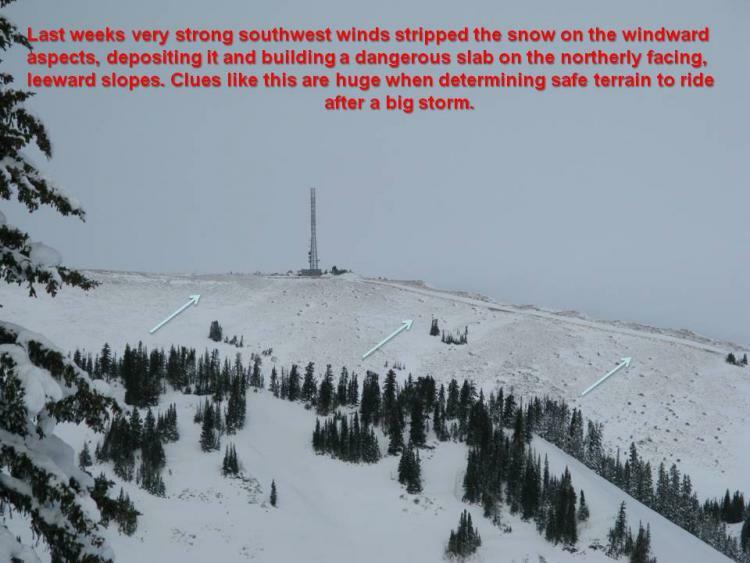 He eventually located the tip of a snowmobile ski sticking out of the snow, possibly with other riders in the area. Someome had an avalanche probe and they located the victim just uphill of his snowmobile. He was buried about 2 feet deep and he did not respond to recessitation. An air ambulance arrived with an Alta ski patroller and his rescue dog but apparently the victim was found by the victim's partner and others in the area. Total burial time is unknown, but believed to be over a half hour. 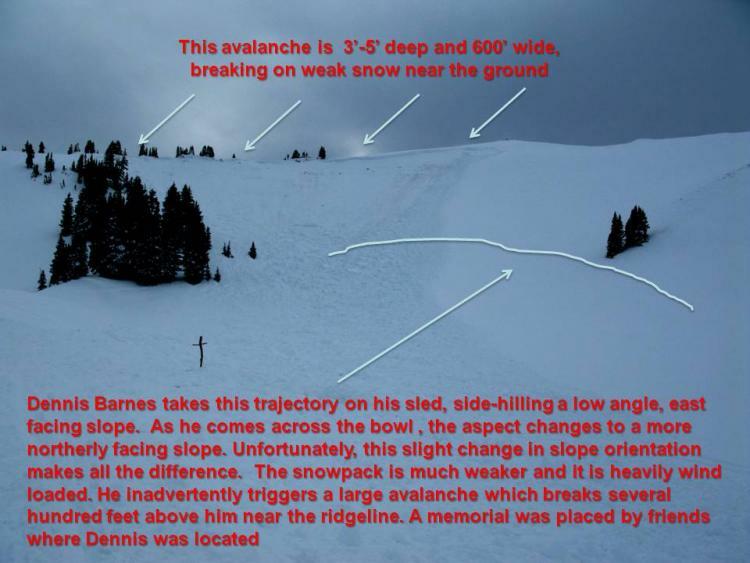 The avalanche was likely triggered by the weight of the snowmobile and its rider at mid slope. 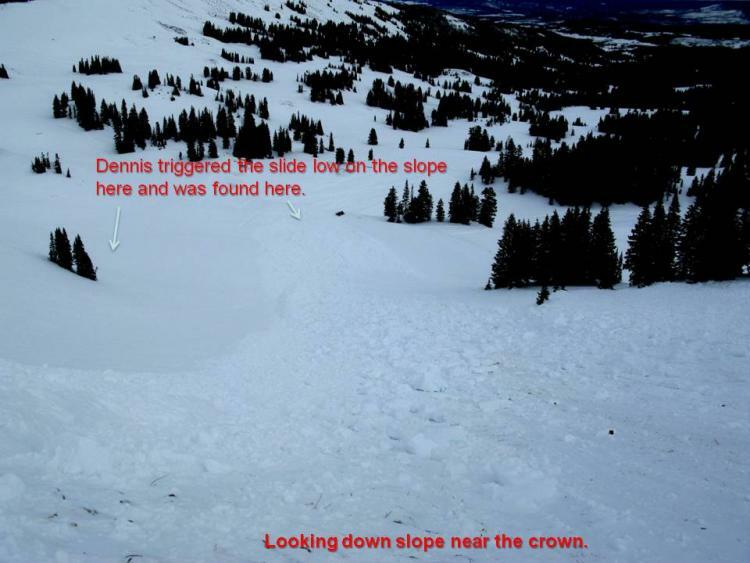 The avalanche broke up to near the ridge and was quite large 3-5 feet fracture crown and 600 feet wide and it descended to the bottom of the bowl.